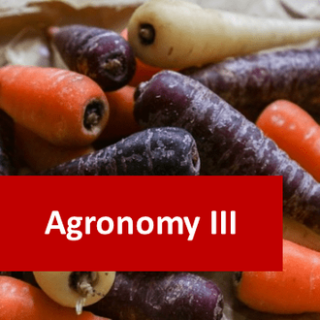 Agronomy III - Root Crop Production online - BAG301: Agronomics is the science of plant and soil management, applied to the growing of various crops including: Grains, Pulses, Psuedo-grains, (covered in our Agronomy II course) and Root Crops, covered in this distance learning programme. Profitable and successful farming today, depends on agronomists bringing a number of key stages of the plant/harvest cycle together. 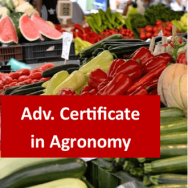 An Agronomist therefore needs to have skills in soil management, plus knowledge of the best time to plant specific crops and their nutritional requirements. He or she will also need to know how to manage pest and weed problems, when to harvest and how to ensure longevity post-harvest, so that as much produce gets to market as possible. The course is ideal for anywhere in the world, as it can be targeted to your own geographical area. Therefore, it will provide vital skills for a small independent farmer, totally reliant on maximising their crop yield for their livelihood. 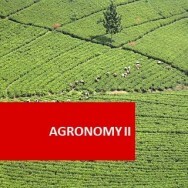 Agronomy III will teach you where to plant, when to plant, how to look after your crops, when and how to harvest them and how to achieve longevity after you have harvested them. Describe root vegetables, their variations and nutritional value and the morphological internal and external structures of roots. Outline the cultural practices needed to produce vegetable crops. Outline methods of weed and pest management and the use and range of specialised machinery used in root crop production. Outline the cultural requirements and growing techniques for carrots and their relatives. Outline the cultural requirements and growing techniques for turnips and their relatives. Outline the cultural requirements and growing techniques for beets and their relatives. Outline the cultural requirements and growing techniques for a range of other root crops not studied earlier this course. Describe the harvest and post-harvest requirements of root vegetable crops. Should you have your Soil Laboratory Tested? 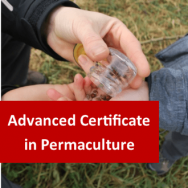 Course Prerequisite None, although completion of Agronomy 1 would be helpful - Our course levels are an indication of the depth of learning you should receive. They do not describe the level of difficulty.